The cornerstone of the ancient wisdom of the Bharatiya culture is Cosmic Oneness. The Vedas declare – Ekam Eva Adveeteeyam Brahma (Brahman is Only One, Not Two). Bhagawan explaining further, asks as to why the ancients did not just say, “Ekam Brahma” (Brahman is One)? Because, they wished to stress on the aspect of Oneness. Therefore, they declared “Ekam Eva Brahma” (Brahman is only One). But, they did not stop with this too. They very well recognized the frailty of the human mind. To remove any scope for misinterpretation or misunderstanding or ambiguity, they added one more word “Adveeteeyam” (Not two). They finally declared, “Ekam Eva Adveeteeyam Brahma” (Brahman is Only One. Not Two). Bhagawan, through a number of discourses, has again and again drawn the focus of the human mind to bear upon this Cosmic Oneness or Cosmic Unity. No doubt, creation is full of diversity. This diversity, Bhagawan states, is by conscious design. But the true challenge is for man to see through this diversity and recognize the principle of underlying Oneness or Unity. All spiritual Sadhana has just one objective – to calm the mind and tune in to the wavelength of Cosmic Oneness. To recognize and live this principle of Oneness or Unity is verily the goal of human life and the purpose of all spiritual practices. We use the word “Unity’ so often in our daily parlance. But when Bhagawan refers to Unity, it stands far above its conventional connotation. Yes, unity is about living together in harmony, about coordination and understanding in a family, in a community, in society and in the nation. But, Bhagawan refers to Unity at a more fundamental level. He refers to Unity inherent deep within the recesses of our hearts and appeals to all of us to recognize this Oneness and base all out thoughts, words and actions on this feeling of Oneness. In this posting, Bhagawan takes us through several layers of unity, as it were, starting from the basic gross level of unity to the ultimate and fundamental subtle level of unity. With several profound examples and analogies, Bhagawan enables the human mind to make this paradigm shift from perceiving the silver glass to perceiving the silver, from focusing on the name and form to focusing on the content and essence. The 16 audio excerpts in this posting have been taken from the Discourses delivered by Bhagawan in the years 1989, 1993, 1996, 1998, 2000, 2001 and 2002. For the purpose of easy reading and comprehension, the posting has been presented in five sections, viz Introduction, Change in - Vision - Not Creation, Focus on Fundamental Unity, Profound Illustrations and Pathways to Unity in Diversity. Introduction: In Clip-1 Bhagawan explains how intellectuals fragment unity whereas men of character unite many into the One. In Clip-2 Bhagawan stresses on the need for developing Vishaala Bhaavam (broad minded feelings). Clip-3 talks about Unity in Diversity as the key aspect of Bharatiya culture. Change in - Vision - Not Creation: In Clip-4 Bhagawan explains how we need to change our Drushti (vision) and not Srushti (creation). Clip-5 compares unity to wisdom and diversity to ignorance. In Clip-6 Bhagawan explains how by understanding the principle of the atom, we can understand true unity. Focus on Fundamental Unity: In Clip-7 Bhagawan drwas our attention to some fundamental unifying aspects in mankind, such as hunger, thirst etc. In Clip-8 Bhagawan helps the mind to perceive Unity by shifting the focus from the chariot (physical body) to the charioteer (Atman or Self). Clip-9 and Clip-10 present the popular Telugu verses often sung by Bhagawan that highlight unity in diversity through many day to day examples in our life. Profound Illustrations: Clip-11 presents the profound example of the multiple pots and one reflection of the sun to illustrate the principle of unity. Clip-12 presents the analogy of the flower garland and the unseen binding thread to explain the aspect of unity. 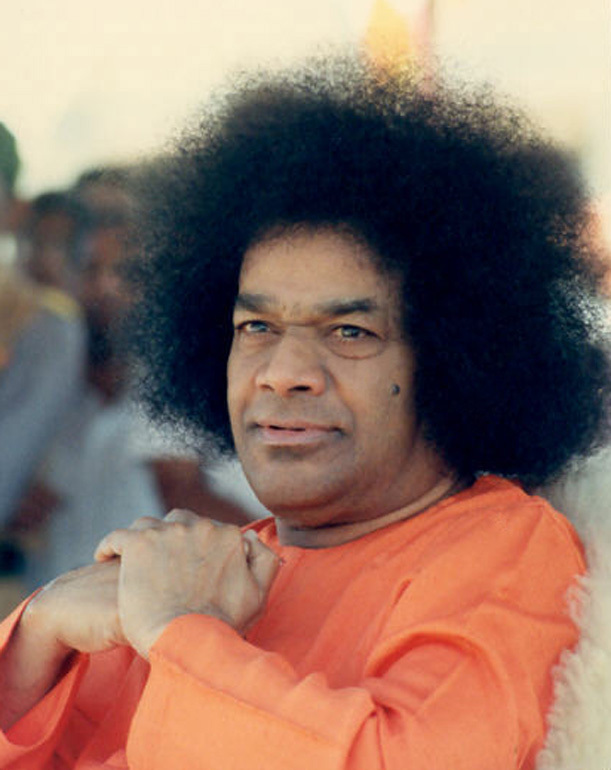 In Clip-13 Bhagawan gives the example of many sweets but the same sweetness, many bulbs but one current to illustrate the principle of oneness. Pathways to Unity in Diversity: Clip-14 talks of Samyak Drushti as a prerequisite to perceive unity in diversity. In Clip-15 Bhagawan narrates the most profound example of the sculptor and the sculpture to drive home the point of Oneness. Finally in Clip-16 Bhagawan presents Work-Worship-Wisdom as means to see Unity in Diversity. There are so many educated and intellectual people in this world. There are so many intellectuals who fragment the one into many, but there are no intellectuals who are able to unite many into the one. Therefore, an intellectual fragments the one into many but an individual of character unites many into the one. This is unity in diversity. We need to recognize this unity in diversity. The names and forms of the physical body may be many but the Truth in the form of the Divine, is the same in all the beings. Today, students are losing the broadmindedness in their feelings. It is only I and mine. Then what will be the fate of the other people? All are children of God. All are brothers. Without any conflict, we should live in camaraderie and progress together. We must develop forbearance and feeling of brotherhood. Unity is very important. Practice of Unity is the path to progress. It is not just about saying, Hello, Hello. We should work together. It is said that by working together, we will earn merit. Therefore, all those who are within the ambit of our heart, are our relations. We this kind of fellowship, we must live our life with unity. Bharatiya culture is the sacred culture that wishes us to recognize unity in diversity and thus fulfill the purpose of humanity. However, today, the opposite path is being followed. The one is being fragmented into many. There is an increase, day by day, in the number of educated and intellectual people who fragment the one into many; but there is a drop in the (number of) people who recognize and practice unity in diversity. Let us move about together, let us grow together, let us learn together and let us promote knowledge together, let us live together in friendship without any conflict (Telugu verse). But where is this (today)? We are not able to see any living or mingling together. If there are four people living in a home, all four will have their different feelings. Unity is the very life of humans, and practice of unity is the very goal. We are losing such Divine unity today. God is one. The goal is one and the Truth is one. But we need to change our vision (Drushti). There is no need to change the creation (Srushti). Creation is God’s creation only. Change your vision. Develop the vision of Love towards all. There is no greater vision than the vision of Love. Therefore, every man must understand one thing clearly. Every educated person, every intellectual, every scientist is promoting diversity in unity and there is an increase in the number of such intellectuals. They are observing diversity in unity. Why should they not perceive unity in diversity? The one who sees unity in diversity is a virtuous person. And it is the intellectual who splits unity into diversity. The virtuous person is far greater than an intellectual person. In any nation, at any point of time, are there any two individuals who have similar form and looks, and who have similar intelligence? Even among twins there are some differences. The Divine creation is so strange. Each one is on his own and has one’s own strength. But the underlying principle of all strength is Divinity. The same Atma (Soul) is present in all the five elements. There are no many Atmas. Ekaatma Sarvabhootaantaraatma (The same one Self is the inner Self in all the beings). 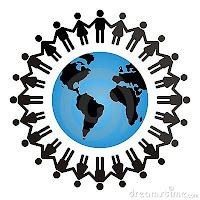 Humanity is following all foolish approaches because of fragmenting the unity into diversity. We must recognize the Unity in Diversity. That is the true path of the Knower (wise one). But dividing the one into the many is a quality of ignorance. We should not divide the one into the many. By doing so, the power in each one reduces. To understand the Divine sacred Atmic principle, it is enough to follow (the path of) unity. The same principle of the Atman exists in all. Wisdom is recognizing this oneness in all the diversity. Perceiving the oneness as diverse is ignorance. Today there are many intellectuals who fragment unity into multiplicity. However, noble souls who see unity in diversity are just one or two. 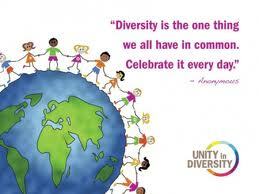 Therefore, we must make an effort to recognize the unity in all this diversity. Unity in diversity is inherent in every small work that we undertake. How is this? Science students know this very well. The atom is very minute. 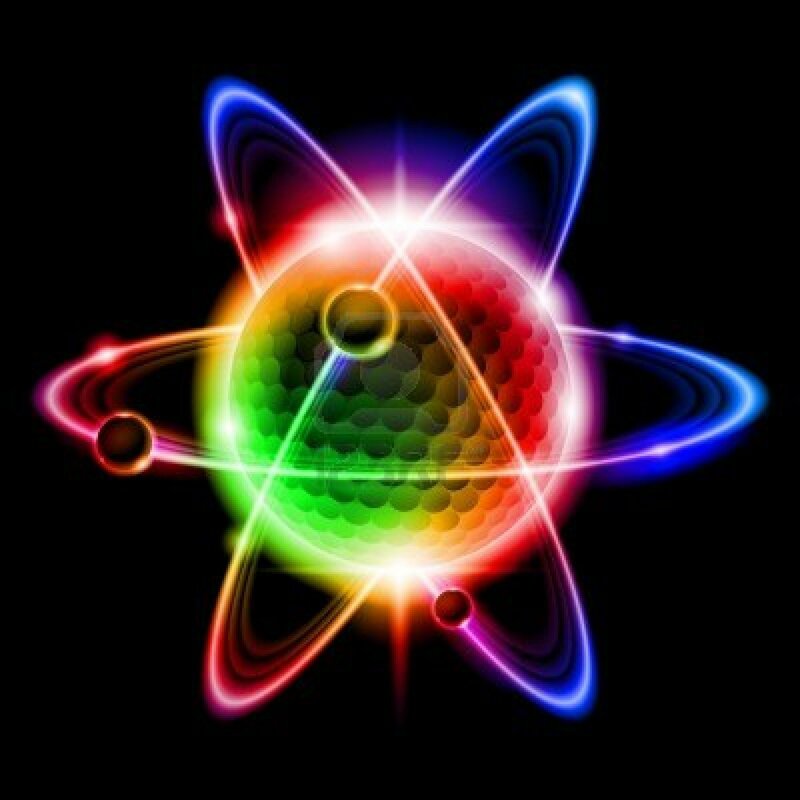 There is no matter without atoms. The atom exists in all matter. You are recognizing the differences in the name and form of the matter but the atom in all is one and the same. This is referred to as “Anoraneeyaan Mahatomaheeyaan” (the smallest among the small and the biggest among the big) in the Vedanta. Therefore, if we are able to understand this principle of the atom, then we will be able to understand everything. Prapancha – what do we mean by Prapancha? The blossoming of the five elements is Prapancha (world). Therefore, in this world, we enable the blossoming of the five elements. We are enabling the blossoming of the five elements but we are not unifying them. We are instead fragmenting them. We are fragmenting unity into multiplicity. That is why this world is growing so large. 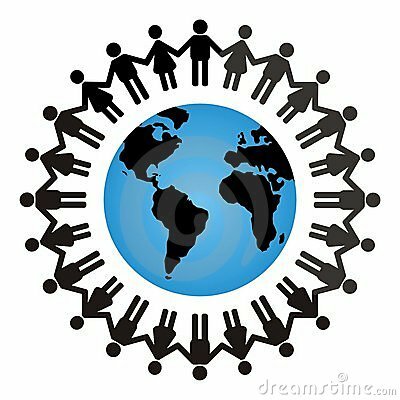 But the main goal of mankind is to perceive the unity in diversity. We should have full faith in the (principle of) unity (that exists) in everyone. See, in this hall, so many people are seated. We must recognize the unity that exists in all these varied people. That is, “Beings are many but Breath is One”. There are no differences such as “your breath’ and “my breath”, or “your inhalation and exhalation” and “my inhalation and exhalation”. All of us breathe in and breathe out the same air. Recognize the unity in this. Sariram Ratham Eva Cha - All bodies are like chariots. Atmaanam Rathinam Viddhi - The Atma (Self) is the charioteer (Kaṭha Upaniṣhad (1.3.3–4,9)). Bodies are the chariots. The chariots are different. But the charioteer is one. This is unity in diversity. Men may be of different temperaments. But how do we see unity in diversity? We must understand that unity which compulsorily exists in all. A millionaire has not dropped down from the sky; the pauper has not taken birth from the mud. Both the millionaire and the pauper have taken birth from the mother’s womb. This is unity. Again hunger in a millionaire and a pauper (is the same). The pauper may drink some porridge. The millionaire may consume luxurious and sumptuous food. Food may be different but hunger is one. Therefore, we must see the unity in this. Next comes the death of man. Millionaire or a pauper – death is only one. Anyone can recognize this. Next, the thirst is also one. A rich man may drink very good cool-drink, whereas the pauper may drink water flowing in a canal. Water may be different but there is no difference in the thirst. Enquiring properly into the unity in diversity is the foundation for Divinity. But man today is not leading such a life. How can we see Unity in Diversity? Birth and death are common to all, be it a millionaire or a pauper. The millionaire has not dropped from the heaven nor has the pauper emerged from the earth. Both are born from the womb of the mother. This is common to all. Hunger and thirst are also common to all. The millionaire also feels hungry and the pauper also feels hungry. The millionaire will have rich and luxurious food whereas the pauper will have simple food. The food may be different but hunger is one. This is Oneness. Go anywhere in the world and see. You will find that birth and death, hunger and thirst are common to all. Coming to thirst; is not the pauper thirsty and is not the millionaire also thirsty? When the rich man is thirsty, he may have a cool drink, whereas a poor man, when he is thirsty, may have porridge or water. But their thirst is one. 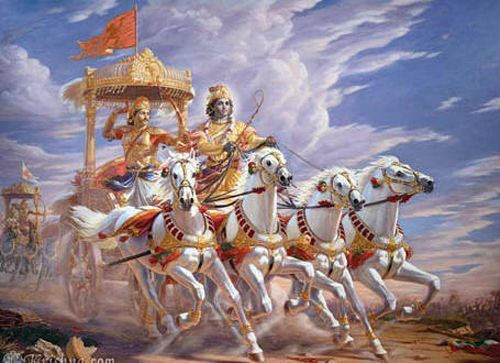 Therefore, the Vedas have declared that the physical body is the chariot and the Atma is the charioteer. The chariot and the charioteer are same for all. There are no differences here. All these differences are imaginary. Everything is same in God’s creation. So, see Unity in Diversity. That is the true Upanishad. The same life (principle) exists in you, Me, and all others. There is only one Being. Then wherefrom do the differences arise? Based on the body, behavior and feelings, all the differences arise. But the principle of the heart is the same in all. All countries together make a mansion. Each country is like a room. Therefore, do not divide. It is because of this division that mankind is getting ruined. You should not make a division among Sai devotees too. All should remain united. Humanity is one race and Mankind is one family. There may be differences in colour, name and form. But Divinity is one. Therefore, we must not recognize any differences in caste and community. We must give up all such feelings and develop the principle of love. All the worlds belong to God. Names and forms may be separate but the Divine power is one, wherever you may go. Even among human beings, names and forms are separate, but the principle of the Atma is one. In the morning, one spiritual seeker asked, “Swami, there are crores of devotees in this world. How can there be only one Atma in all of them? Would it not depend on each one’s deservedness?” To that, I replied thus. 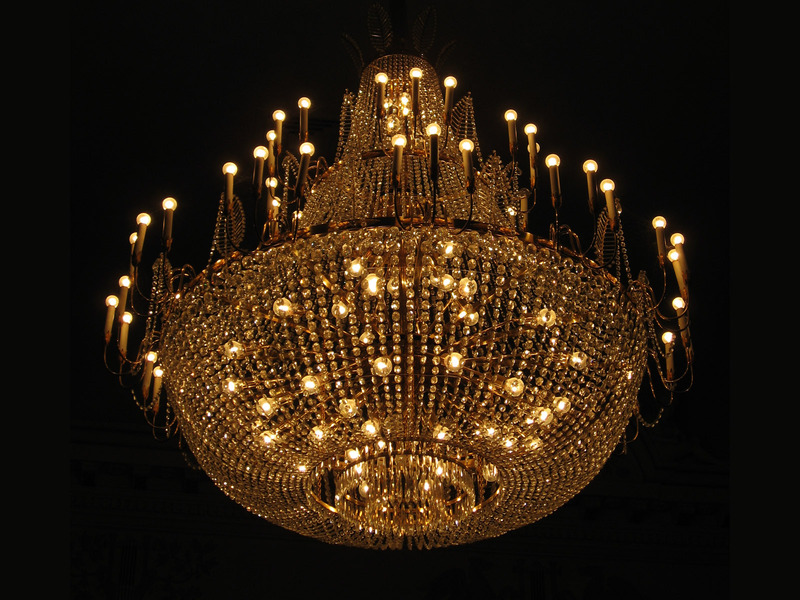 When we decorate (a hall), we use so many small (light) bulbs for decoration. Each bulb is different from the other. Their forms (shapes) may be different. Their capacities (voltage) may be different. But is it not the same (principle of) current (flowing) in all? O members of this august and sacred assembly? Though bulbs may be different, the current flowing through them is not different. Every body is like a bulb. The names and forms may be different. The colours may be different. The voltages may be different. But the (principle of ) current is one. We use a dim (light) bulb in our bedroom. 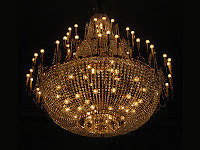 We use a bright (light) bulb in the drawing room. But can we say that there is a different current flowing in the two bulbs? The (principle of) current flowing through both of them is the same. But the voltage is low in one and is higher in the other. Similarly basing on one’s deservedness, one gets more and the Divinity manifests itself more in them. But those without such (sacred) feelings will have a dim light like the bedroom light. However, the Divinity is one and the same in all. Those who know this truth will not give scope for any differences. One small illustration: There is a mud pot, a wooden vessel, a copper vessel, a brass vessel, a silver vessel and a gold vessel. 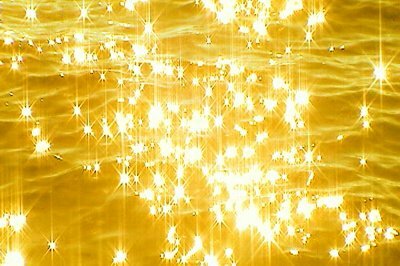 When all these vessels are filled with water, the same sun gets reflected and shines in all these vessels. How can you decide which sun in which vessel is good and which sun in which vessel is bad? Therefore, you may put a value only to the vessel. You may say, “This mud pot is very small, it is cheap. This gold vessel is very costly”. Thus you may place a value on the vessel but how can you place a value on the reflection of the sun therein? How can you differentiate and decide that one sun is good and the other is bad? In this context, what is good and what is bad? The vessel belongs to the gross world, whereas the sun is related to the spiritual world. In that sense, the vessel is bad (ephemeral), whereas the sun is good (eternal). The sun is an infinite ocean of love. Every living being is the form of Love. Without a vessel, there cannot be water contained in it. Without water, we cannot see the reflection of the sun therein. Therefore, to see the reflection of the sun, the vessel is very essential. It is also necessary to have water in the vessel. The water may be compared to the mind. The vessel may be compared to the body. The reflection of the sun therein may be compared to the Atma. Thus, the Atma in all is one and the same. Differences are only with respect to the vessel or the instrument (body). There is only One. But it subsumes all diversity within it. Look, here is a flower garland. There are many flowers in it. Though there are many flowers (in the garland), there is only thread (binding the flowers together). This was a thread yesterday, it is a thread today and will continue to be a thread even tomorrow. The flowers were buds yesterday, today they have blossomed and tomorrow they will wither away. Our (physical) bodies are like the flowers. Yesterday, it was youth, like a bud. Later we become old and fade away. In this manner, the body keeps changing, but the thread (principle of life) within, never fades. It remains the same in all three periods of times (past, present and future). This is called the Brahma Sutra (Brahma’s thread). The principle of Brahma Sutra exists in all. It never changes anytime. But the individual beings (Jeevas) in the form of flowers that are gathered on this thread keep changing. Therefore, we do not need to worry about life that keeps on changing. But we need to achieve with all our effort, that which does not change. This is the Sadhana that we need to do. We must use our mind and intellect in the proper way. The Bharatiyas are wasting their time debating over the concepts of Dvaita (Dualism), Vishishtaadvaita (Qualified Non-dualism) and Advaita (Non-dualism). Eventually, all these three are one and the same. Advaita is like sugar juice, Vishishtaadvaita is like sugar, whereas Dvaita is like the one who eats the sugar. Mysorepak, Gulabjamoon, Barfi, Palkova, Mithai, Kheer, Biscuit – the sugar in all these sweet savories is one. The name and form are different. In the same way, in this world, all the nations, the names and the forms appear to be different. But the Divinity in all is one and the same. Ekaatma Sarva Bhootaantaratma (The same One Self is the inner Self in all). You can see so many bulbs here. But the current is one. That is Divine power. That Divine power is in you, in Me and in everyone. Then where is the difference. One (bulb) is red, one is blue, one is white and one is black. One is dull, another is bright and yet another is brighter. This is not a defect in the current. This is because of the difference in the bulbs. God exists as One in all beings. The capacity of one’s heart is dim, another’s heart is bright and yet another’s is light. The difference is in the voltage. When you think of God always, incessantly, the voltage can be raised to any extent you want. Sarvada Sarva Kaaleshu, Sarvatra Harichintanam (Think of God always, at all times and everywhere). You may change the bulb, you may change the voltage, but do not change the current. To make your heart that is dim into a bright heart, develop Love. Develop Love, develop Love, develop Love. When you expand your Love, it (your heart) becomes light and bright. Immortality is true Nirvana. For this Nirvana, the appropriate path at the very first instance is Samyak Drushti (right/good vision). The eyes have been given to use them along the right path, have the vision of true humanity and propagate the Truth. Whatever you see, see it as God. The vision should be full of Love. This vision of Love will lead man along the right path. All are One, be alike to everyone. Therefore, we must develop Samyak Drushti. This will help us achieve the principle of Oneness. It will help us recognize Divinity in everybody. It is in this context that the Vedas declare, “Ekam Sath Viprah Bahuda Vadanti” (Truth is One, Scholars refer to it in many different ways). We must therefore recognize this Truth and perceive creation with this vision of Truth. Our vision must be sacred. We look at our father and call him as “Father”. We look at our daughter and address her as “Daughter”. We develop different relationships on account of different forms of the body. But who is the father and who is the child? Artham Naasti, Gruham Naasti, Tasmaat Jagratah Jagratah Jagratah. There is no wealth, no home, be aware, be aware, be aware. All are One. All are verily the forms of God. Therefore, if we wish to progress towards Unity, we need to sacrifice and give up this (feeling of) Diversity. Vedanta refers to this (feeling of) Unity in Diversity as the true Atma Tatvam (principle of the Atma). 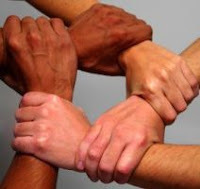 What is this unity that exists in diversity? It is the One Atma. There is only one current in all the bulbs. 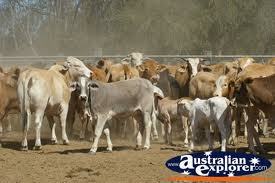 In the same way, the (perception of) oneness in all this diversity is Atma Darshanam (vision of the Atma). We should never give any scope for the feeling of “My Atma”, “Your Atma”, “This one’s Atma”, “That one’s Atma”. Humanity is drowned in ignorance because of the fragmentation of this Unity. True humanity lies in unifying the diversity. Differentiating and dividing is contradictory to humanity. Therefore, we should never enter onto the path of divisiveness. We should have unified vision. Samyak Drushti - this is the first teaching of Lord Buddha. So we have to strengthen the feeling of unity. There is only One (principle) in whatever we see. That is Divinity. We need some path to recognize this Divinity. We need to take up some tasks and we need to undertake some Sadhana. We can accomplish anything, only through spiritual practice. As we keep singing repeatedly, we learn to sing a song. As we keep chewing continuously, even the neem tree fruits, start tasting sweet. Similarly, you keep remembering God always and you will surely understand Divinity. We must think of God incessantly. In Bharath, wherever you see, there is contemplation of God. With the advancement of the modern age, the opposition to God has increased. What do you believe? You believe in foolishness (Murkhatvam) but not in Moortitatvam (principle of idol worship). But they (modern people) consider idol worship as foolishness. One’s own conscience will be able to clearly state whose thinking is truly foolish. The belief that God is in everything; in animals, birds and beasts, is true social security / social justice. This form of social security is to be found only in Bharath and in no other nation. Whatever one may see, be it even a tree, it is considered as God. If one sees an anthill, it is considered as God. There is a useless boulder fallen on a mountain. The sculptor chisels it and carves it. Chiseling and carving, he makes an idol of Rama from it. 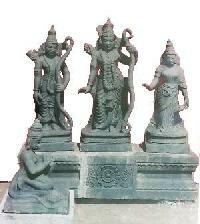 The sculptor makes an attractive idol of Rama out of a boulder on the mountain. Now did the sculptor make Rama out of the boulder or was there Rama in the boulder even from before? Rama was there (in the boulder) even before. The sculptor only removed the fat (unnecessary rock). Once the extra parts are removed, Rama manifested Himself. Therefore, Divinity is there in all. Here is a further example. We place this idol of Rama in a temple and offer worship. We refer to it (idol) as verily Lord Rama Himself. The small chips of stones in the boulder, from which the idol of Rama was carved out, remain behind in the forest only or in some pit. No one worships those pieces of stones. What is the reason? Because, there is no form here. Though they may not have a form, the pieces speak out, “Tat Tvam Asi – That and we are one and the same. It is the sculptor who came and separated us; else that (idol) and we (the pieces) are one and the same (boulder)”. This is referred to as “Tat Tvam Asi”, “Aham Brahaasmi”. We are verily that. But because of the worldly tendencies and worldly temptations, we on our own, are considering ourselves different and fragmenting ourselves to be different. The mistake lies in the individual (Vyakti) and not in the supreme power (Shakti). God is everywhere and we must have full faith in such Divinity. You may see many names and forms in this ephemeral and transient world. But, Eka Prabhu Ka Aneka Naam – There are many names for the One God. Ekoham Bahusyaam – The One has manifested as the Many. With His own Will He (the One) is being seen in many forms. Being One, He created Himself into many. To teach mankind unity in this diversity, the three paths of Karma (Action), Upaasana (Bhakti or devotion) and Jnaana (wisdom) were initiated. Work, Worship and Wisdom. Through these paths or approaches, they (people) tried to recognize the unity in diversity. But there is only One. Ekam Sath Viprah Bahuda Vadanti – The Truth is One, but the scholars refer to it in many ways. All this multiplicity has originated from unity. This is one (indicating with a finger). This is nine (indicating with nine fingers). If you were to ask a child as to which number is greater, any child would say that the number nine is greater than the number one. No, no. The number one is greater. 1+1+1=1+1+1+1+1+1=9. 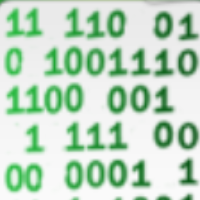 If there is no “1”, how can you get a “9”? Therefore, this “One” is hero and this world is zero. It is said that “Hero becomes zero if he forgets God”. God is this One. If we forget Him, then this entire world amounts to nothing. This principle of Oneness is the teaching of the Bharatiya culture since ancient times. 01-What is the difference between the physical heart and the spiritual heart according to Bhagawan? 02-What is the source and the meaning of the verse – “Sarvatah Panipaadam Tat Sarvatokshishiromukham”? 03- What is the source and the meaning of the verse – “Sahasrasheerusha Purushaha Sahasraaksha Sahasrapaat”? 04-What is the Telugu verse given by Bhagawan that talks about living together, growing together and learning together? Which is the close equivalent of this verse in Sanskrit and found in the Vedas? 05-Why does Bhagawan say that the virtuous person is far greater than an intellectual person? 06-What message does the verse - Ekaatma Sarvabhootaantaraatma – communicate? 07-What is meant by the Vedic dictum – “Anoraneeyaan Mahatomaheeyaan”? 08- Sariram Ratham Eva Cha, Atmaanam Rathinam Viddhi – What is the source of this verse and what does it mean? 09-Explain the analogy of the chariot and the charioteer given by Bhagawan, to help the mind to shift its focus from diversity to unity. 10-Birth, death, hunger and thirst are common to all – How does Bhagawan explain this? 11-List some of the fundamental unifying factors that Bhagawan mentions in a poetic format to demonstrate the unity in mankind. 12-Explain the analogy of the pots, wherein Bhagawan compares the body, mind and the Atman to the pot, water and the reflection (of the sun). 13-How does Bhagawan explain the concept of Brahma Sutra through the example of the flower garland? 14-Elaborate the analogy of the sweets and electric bulbs given by Bhagawan to explain the concept of the One in the Many. 15-What is the “Samyak Drushti” that Bhagawan talks about in the context of perceiving Unity in Diversity? 16-What is the meaning of the Vedic dictum, “Ekam Sath Viprah Bahuda Vadanti”? 17-Bhagawan often says, “Matru Devo Bhava, Pitry Devo Bhava” (Mother is God, Father is God). However, in the context of Unity in Diversity, Bhagawan says “Maata Naasti, Pita Naasti…” (There is no Mother, there is no Father). How do we reconcile this apparent contradiction? 18-What is the example that Bhagawan gives to show that practice make one perfect? 19-What amounts to true social security or social justice according to Bhagawan? 20-What is the core message embedded in the example of the sculptor and the sculpture? 21-How does Bhagawan explain the concept of Tat Tvam Asi through the unique example of the idol of Lord Rama? 22-What does “Ekoham Bahusyaam” signify? 23-How does Bhagawan demonstrate that the number “1” is greater than the number “9”? What message does He drive home through this analogy?